It is the end of an era for not only downtown Vancouver’s waterfront casino but one of the remaining buildings of the Plaza of Nations. 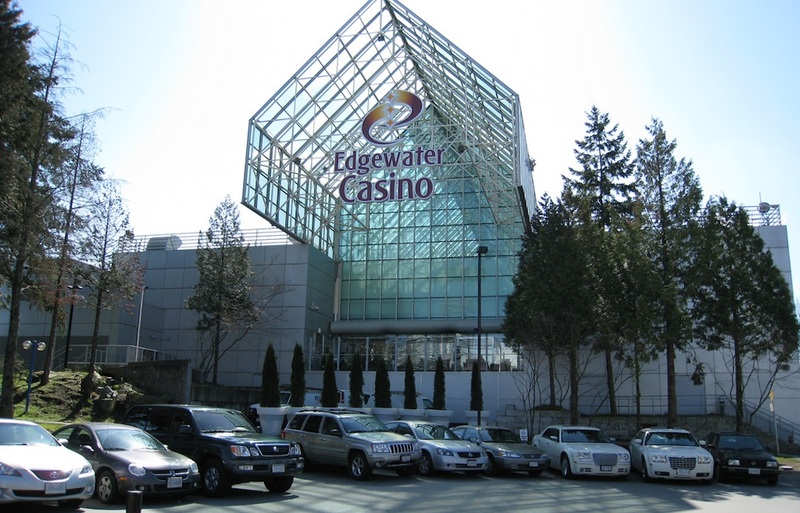 Edgewater Casino at False Creek will close on the morning of September 29, the same day the new Parq Vancouver casino hotel resort opens across the street on the west side of BC Place Stadium. Paragon Gaming opened the temporary casino within the Plaza of Nations’ Enterprise Hall in 2005 with the intention of constructing a new purpose-built facility in downtown. Its staff will move into the company’s new complex on the day Edgewater Casino shuts down. Up until the casino’s move-in, for many years Enterprise Hall had been used as a space for meetings, conventions, concerts and other special events. Parq Vancouver’s purpose-built casino space is 72,000-sq-ft, about twice the size of Edgewater Casino’s 36,000-sq-ft casino floor in Enterprise Hall. 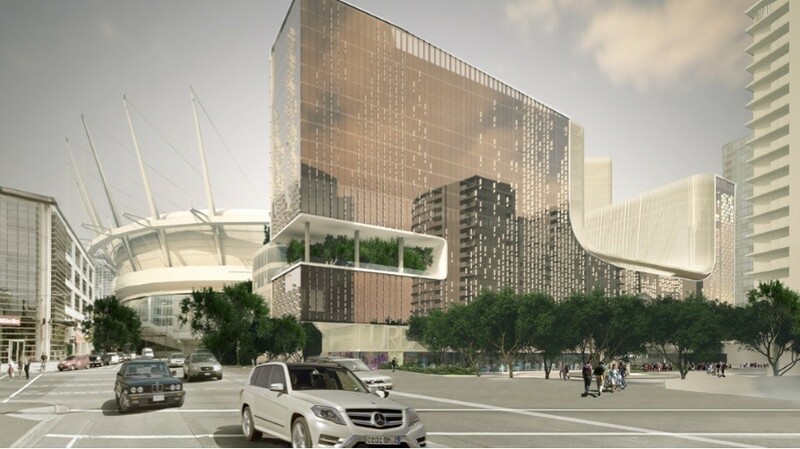 While the doubled floor area in the new casino suggests many more games, the gambling offerings of the new casino space will not exceed Edgewater’s existing license for 600 slot machines and 75 table games, which is a stipulation of the City of Vancouver’s approval of Parq Vancouver in 2013. But the new space also features a poker room and 11 exclusive salons for a private gaming experience. The casino could potentially expand its game offerings in the future; the original application to the City called for 1,500 slot machines and 150 table games within the same casino floor area size. 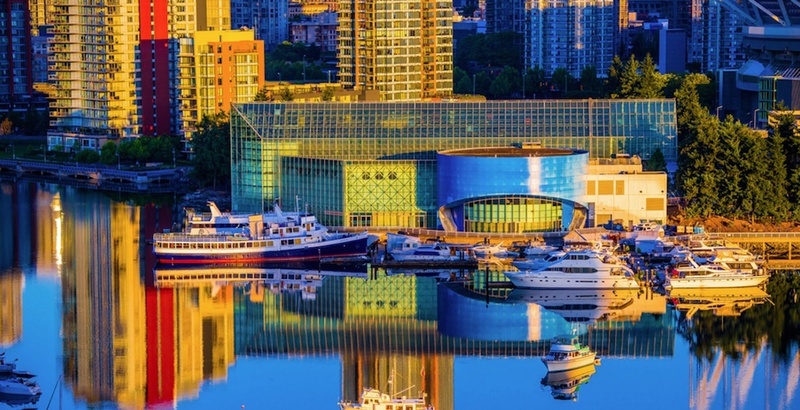 Moreover, Parq Vancouver is much more than just a casino. The $700-million, 700,000-sq-ft complex is a resort, with 517 hotel rooms between two luxury Marriott hotels, eight restaurants and lounges, 62,000-sq-ft of meeting and convention space, and a 30,000-sq-ft outdoor rooftop public space. 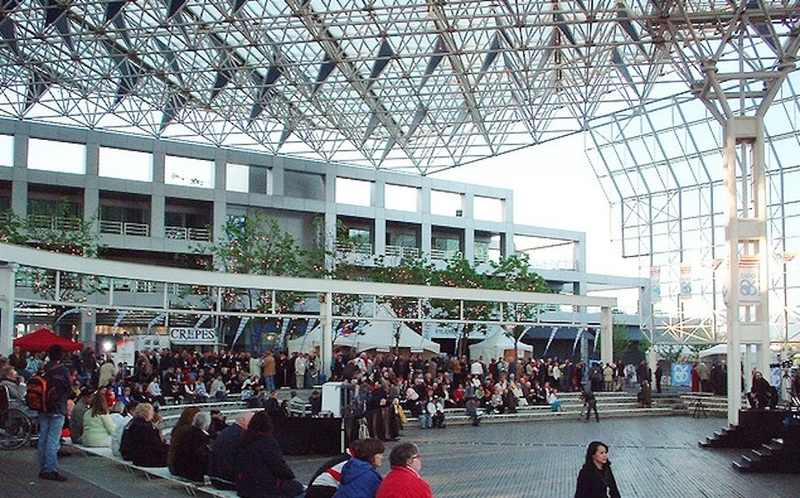 The Plaza of Nations was originally built as the BC Pavilion for the Expo ’86 World’s Fair, and comprised of four structures – Enterprise Hall, the West Building, the East Building, and the covered outdoor plaza. The West Building, remnants of the Expo monorail tracks, and the glass roof of the outdoor plaza were demolished in 2007. At the time, landlord Canadian Metropolitan Properties said the glass roof was no longer safe as the bolts holding the metal frame and glass panels together had severely rusted. It remains to be seen what Enterprise Hall will be used for over the interim, before the Plaza of Nations is completely demolished for a major mixed-use redevelopment project. 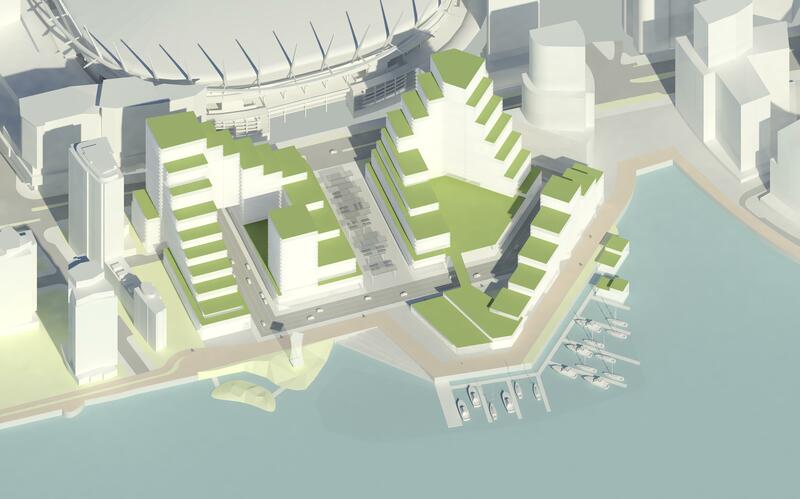 The proposed redevelopment includes: thousands of residential units; a new entertainment district with restaurants, bistros, bars, and craft breweries; a Vancouver Canucks practice ice rink that doubles as a community public ice rink when the team is not using it; and large plazas and an extension of the seawall.